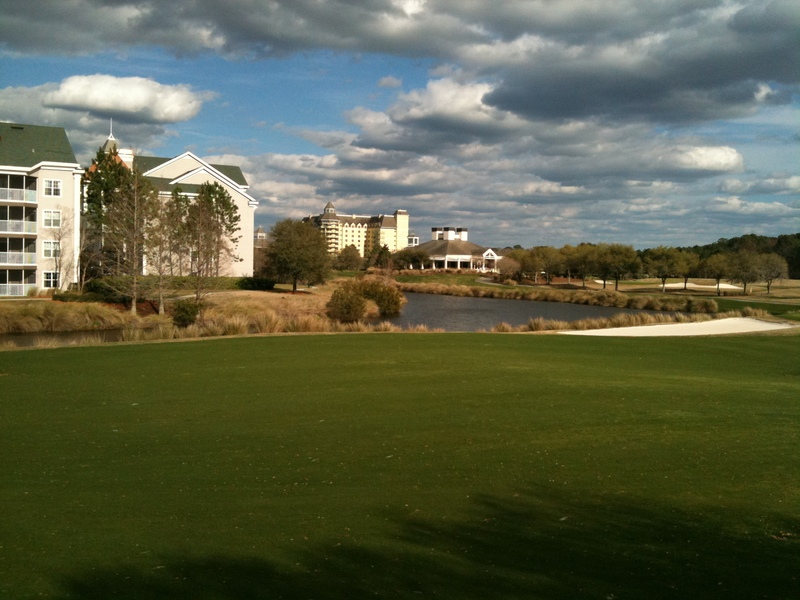 World Golf Village in St. Augustine – Slammer Squire in 15th fairway. Par 5. Second shot about 280-300 yards out. 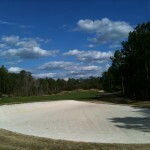 World Golf Village’s Slammer and Squire fairway bunker on the 18th hole. 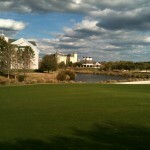 St. Augustine’s Slammer and Squire green complex on the 18th hole. 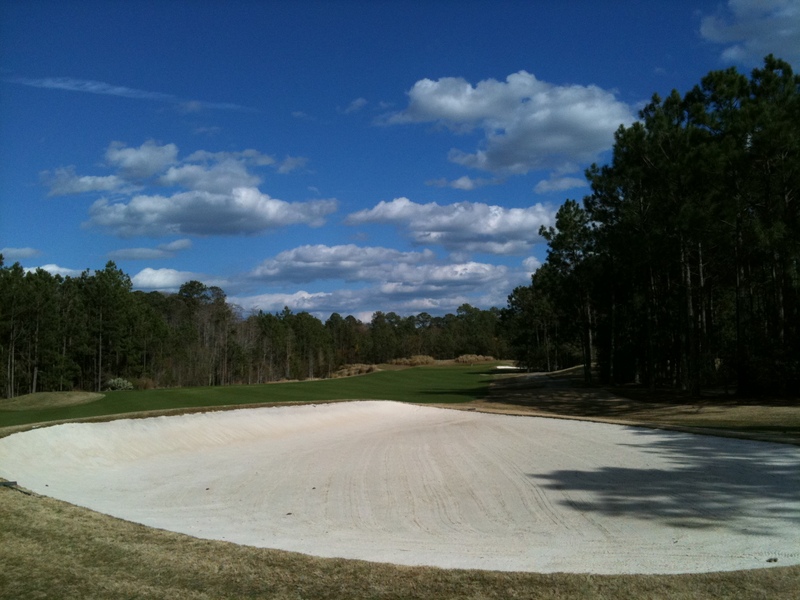 The Slammer & Squire Course is named after the two World Golf Hall of Fame legends, Sam Snead and Gene Sarazen, who served as consultants to the course’s designer, Bobby Weed. World Golf Village is home to 36 challenging holes of championship golf. 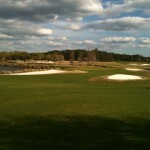 The Slammer and Squire is the easier resort style course and the King and Bear is a true test of shot making. The Slammer and Squire in is known for its preserved beauty of the landscape. It’s par-3 holes add alot of the bite as many of them are not easy and most have forced carries into sometimes complicated green complexes. The World Golf Village’s Slamer and Squire Golf Course is a traditional layout is thoughtfully carved through native flatwoods and hardwood hammocks, running alongside native preserves There is plenty of wildlife abound. Gators, Deer, Osprey’s, Foxes all make the Slammer and Squire their habitat. The scenic Slammer & Squire Course features contoured greens with many false fronts and false sides, so expect crazy bounces if your shots aren’t hitting the greens. Ample and gently rolling fairways that always seem to open up at the exact right time, make going low very possible. 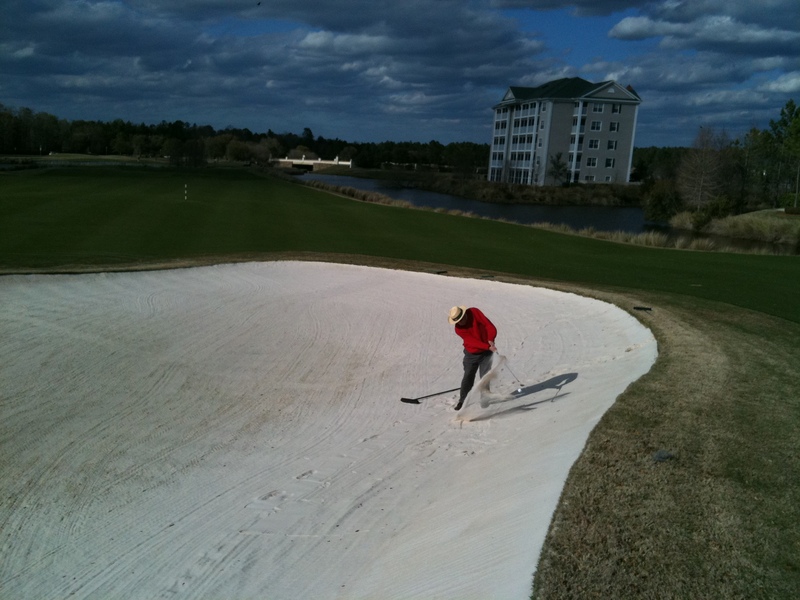 That is until you hit one of the Slammer and Squire’s signature fairway bunkers. 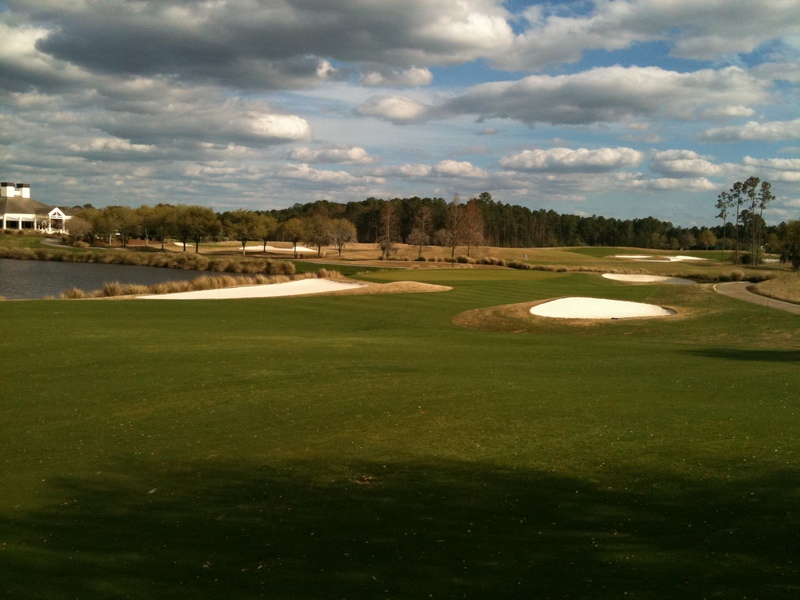 There is also an abundance of water on the Slammer and Squire golf course in the forms of lakes and marshes. Bobby Weed did a tremendous job in making a tough yet incredibly fun test of golf at the World Golf Village.